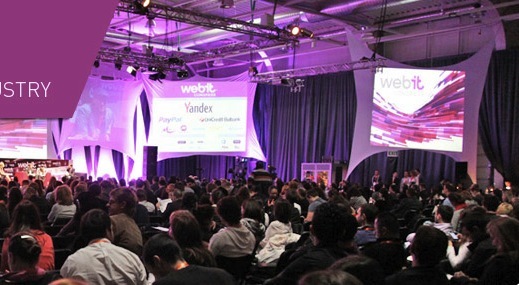 Later this year, you’ll be able to find The Next Web (more specifically, me) at the huge international Webit Congress in Istanbul, Turkey. While the organizers are putting together an impressive speaker list with more than 180 people on it so far, we’d like to direct the attention of startup founders from across Europe, the Middle East and Africa to the event’s startup competition. Dubbed the Webit Congress StartUp Challenge 2012, EMEA startups can apply for a pitching spot on stage free of charge. Of all applying startups, 21 will be shortlisted and receive a free stand and 5 minutes of pitching time on stage. Companies can apply until the 20th of July, so don’t wait too long. Note that you’ll have to pay for your own travel and accommodation, as is usually the case with international startup competitions, and you should be advised that the Webit Congress organizers have already received close to 400 applications – so definitely try to make yours stand out. The event will be held in Istanbul on 10-11 October 2012. The organizers are expecting 6,000 attendees, to give you an idea of how massive this one is.